Often, leaders know the strategic plan, but struggle to execute it. Indeed, even if we know broadly what we must do, we may not know how to do it. 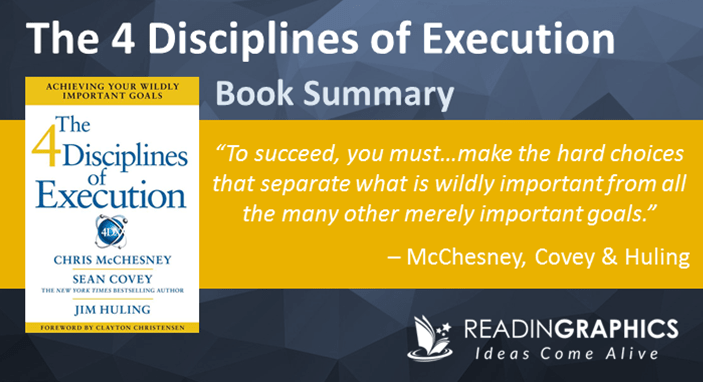 In “The 4 Disciplines of Execution: Achieving your Wildly Important Goals”, McChesney, Covey and Huling explain how to achieve effective execution using 4 key disciplines of execution (4DX). These 4 disciplines can help anyone—from frontline workers to senior executives—to become more engaged in their work and produce outstanding results. In this summary, we’ll outline the key concepts behind the 4DX. • Execute the most important goals while managing the whirlwind of urgent daily tasks. 4DX is not merely a set of practices. It’s a set of timeless disciplines that jointly form an operating system that must be applied as a whole. We’ll now summarize these 4 disciplines of execution (including the details of the 1st discipline) and what it means to apply them to your team and organization. 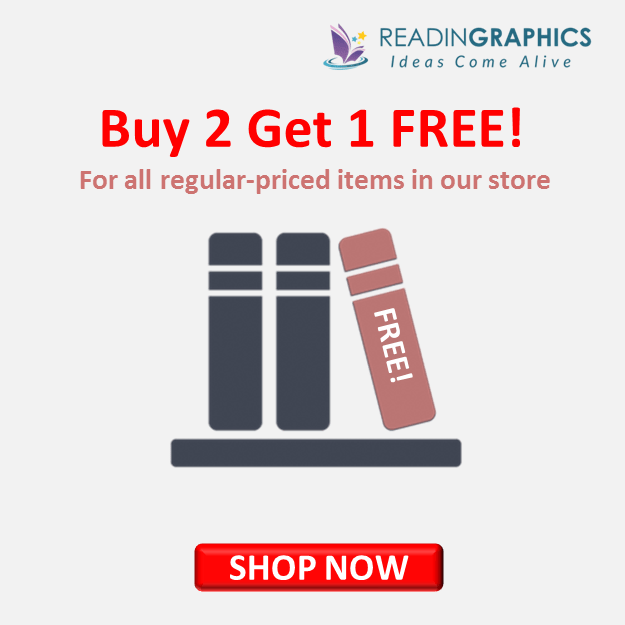 Do get a copy of our full 14-page summary for more details or get the full mojo from the book. A WIG is a goal that’s so vital that all other goals won’t matter if it’s not achieved. This could be a major problem that’s adversely affecting your profits (e.g. escalating costs, project delays), or a success factor that could be multiplied for exponential results. This discipline is about focusing on 1-2 WIGs that will make all the difference to your organization. It involves translating a broad strategic concept into specific end-goals for every part of your organization so each team has its own WIG(s) and clear, measurable targets. • Focus your effort, energy and attention on just 1-2 WIGs. It’s ok to keep all your priorities on your radar, but focus on executing 1 WIG at a time so you can deliver it remarkably well. It’s like how an air traffic controller focuses on landing 1 plane at a time while being aware of all the planes in the vicinity. (i) Inability to reject good ideas. Ambitious and achievement-oriented leaders will always want to drive their teams to do more. However, there will always be more great ideas than execution capacity. Resist the urge to take on every promising idea. Exceptional execution starts with focusing on what’s absolutely critical and ensuring it’s done really well. (ii) Making every whirlwind a WIG. We can’t ignore our whirlwind, yet we must avoid being lost in it. The key is to spend 80% of your time managing the whirlwind, but devote 20% of your time to your WIG for your biggest breakthroughs. Once you’ve achieved a WIG, it comes part of your whirlwind. To install the 4 Disciplines of Execution in your team, your first goal is to translate the broad organizational strategy into Team WIGs and specific targets. (i) To avoid being overwhelmed each person must focus on ≤3 WIGs and each team must focus on ≤2 WIGs at any point in time. (ii) All lower-level WIGs (e.g. department WIGs) must support the higher-level WIGs (e.g. company WIGs). Win the battles that’ll help you to win the war. (iii) Senior leaders can veto but must not dictate the WIGs for every level. They should define the top-level WIG to guide the lower-levels) then allow each level to define and commit to their own WIGs. (iv) Every WIG must be expressed as a specific, measurable end-goal or lag measure, i.e. “from X to Y by when”. For example, your WIG may be to “improve client satisfaction from 55% to 80% in 2 years”. Avoid vague goals like “improve efficiency” or “retain the best employees.” Generally, treat the WIG as a tactical goal and keep the timeframe short enough to be compelling. (i) Brainstorm possible WIGs with an open mind. Use these 3 useful discovery questions: (a) Assuming existing performance is maintained on all fronts, what’s the 1 area that we can improve to achieve the organization’s WIG? (b) What are our team’s greatest strengths that we can leverage to ensure the overall WIG is achieved? (c) What are our team’s biggest performance gaps or areas for improvement to ensure the overall WIG is achieved? (ii) Rank the possible team WIGs by their potential impact on the organizational WIG. For example, if your company’s WIG is about finances, you may rank the options in terms of potential revenues, profits, return on investments etc. If your company’s WIG is about quality, you could rank the options based on productivity improvements, customer satisfaction, cycle times etc. (iii) Test the top options against these 4 criteria for high-impact: The team WIG must (a) be aligned with the overall WIG, (b) be measurable, (c) be results that’re ≥80% owned by the team and (d) depend mainly on the team (not the leader). (iv) Define the WIG in a clear and measurable way. Start with a verb, keep it simple, focus on what (not how), and ensure the WIG is achievable. You can use the format “get from X to Y by when”, e.g. “increase revenue from corporate events from $12mil to $18 mil by 31 Dec”. For projects, focus on the desired business outcome rather than 100% project completion. All outcomes can be measured either as lead or lag measures. Lag Measures (e.g. weight loss) show your performance based on what happened in the past, while Lead Measures (e.g. diet and exercise) show the high-impact things that you must do now to reach your goal. This discipline is about deliberately focusing on the lead measures (or high-impact activities) that will drive your lag measures. In the book / our full summary, you can learn more about the 2 criteria for a good lead measure, and how to install Discipline 2 in your team with 4 key steps. It’s not enough for people to understand what the lead measures are. For team members to perform at their best, they must be emotionally engaged. Everyone must know the score at all times, so they know if they’re winning or losing. This discipline is about motivating your team with a scoreboard tailored to the team members and your specific WIG(s). In the book / complete summary, you’ll find more details on the dos and dont’s for a great scoreboard and how to install Discipline 3 in your team with 4 steps. It’s tough to execute a new strategy as it requires people to do something different while managing their daily whirlwinds. The first 3 disciplines help to bring focus, clarity and engagement, while this discipline ensures that people actually do what they should consistently to achieve the WIG. It’s about creating a regular, recurring cycle, where people account for past performance and plan for further improvements to the score. In the book / our complete 14-page summary, we explain what are WIG sessions and how to run them effectively to install Discipline 4 into your team, to build rhythm, momentum and accountability into your culture and organizational habits. As you roll out the 4DX operating system with your team, you’re likely to experience 5 stages of behavioral change and 3 key types of reactions. At an organizational level, it gets much more complex and you need all leaders to be fully onboard to execute it across multiple teams in 6 key steps. 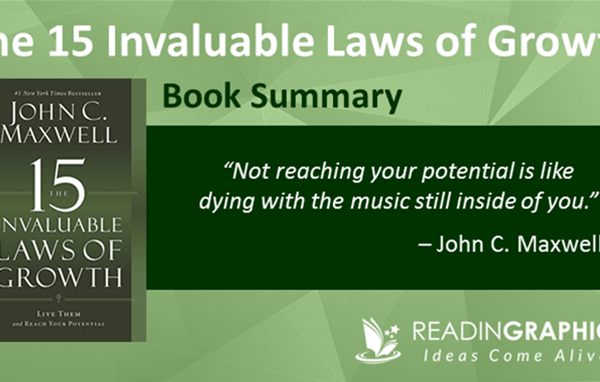 We outline these components in more detail in our full book summary. Implementing 4DX comes with various challenges, but the results are well worth it. You can also apply 4DX to your personal goals. 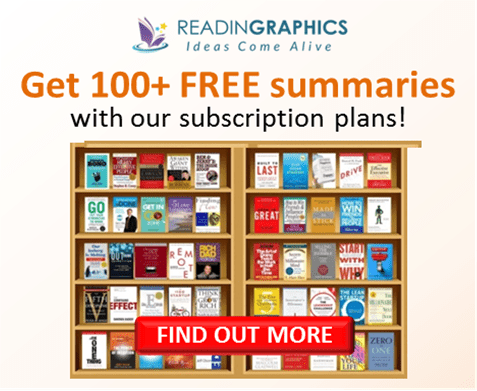 In our complete 14-page summary bundle we also distill some learning points from senior executives of 4 companies—Nash Finch, Marriott International, Comcast and Georgia Department of Human Services—who have used 4DX on a large scale to create massive results. 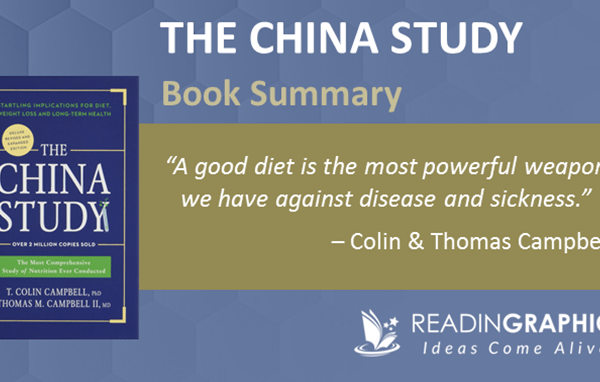 The book also includes other useful resources including: various examples and case studies, simple tools and checklists for each of the 4 disciplines; as well as FAQs on 4DX. For more details, please visit https://www.franklincovey.com/Solutions/Execution/4-disciplines.html. You can also visit team.my4dx.com for various tools to automate the 4DX process. 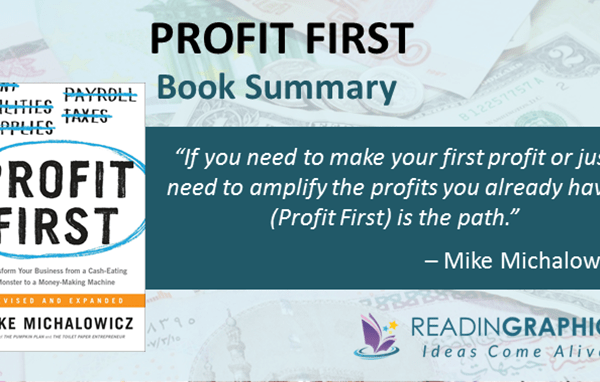 Learn this powerful framework to execute your strategies perfectly! 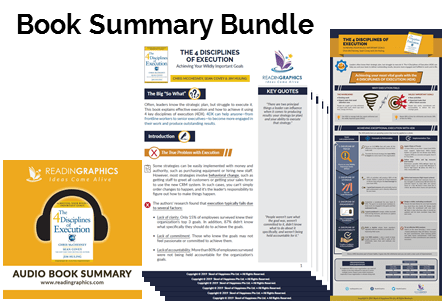 Click here to download The 4 Disciplines of Execution summary & infographic Click here to order the book online Click here for more resources and free tips!